Sue and Harvey are at the SECC at the moment. 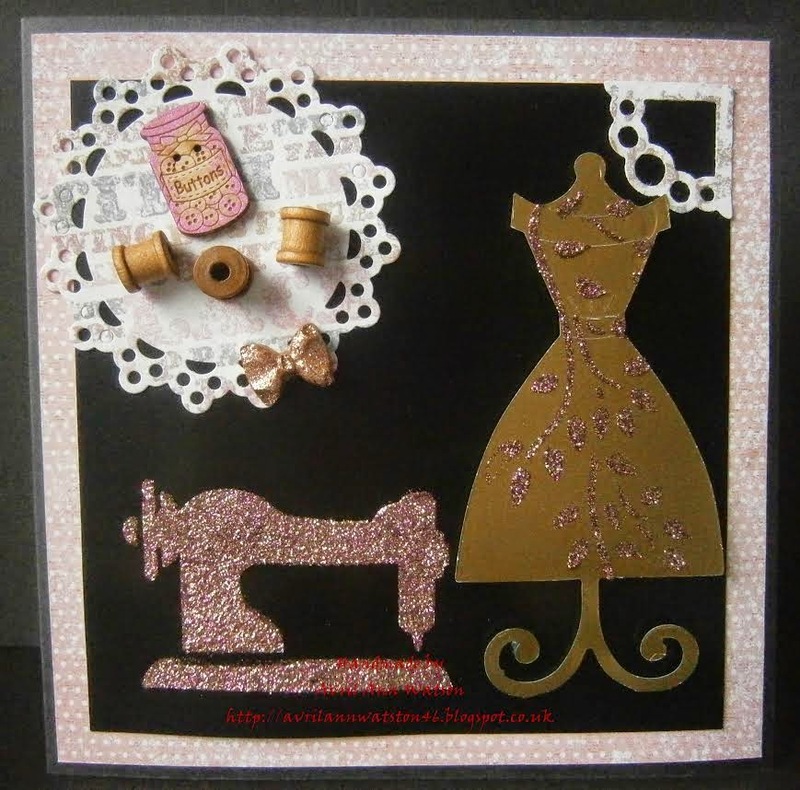 Today we have a tutorial by Avril to share with you today. Apply Rose Shimmer Sparkle Medium and put to one side to dry. 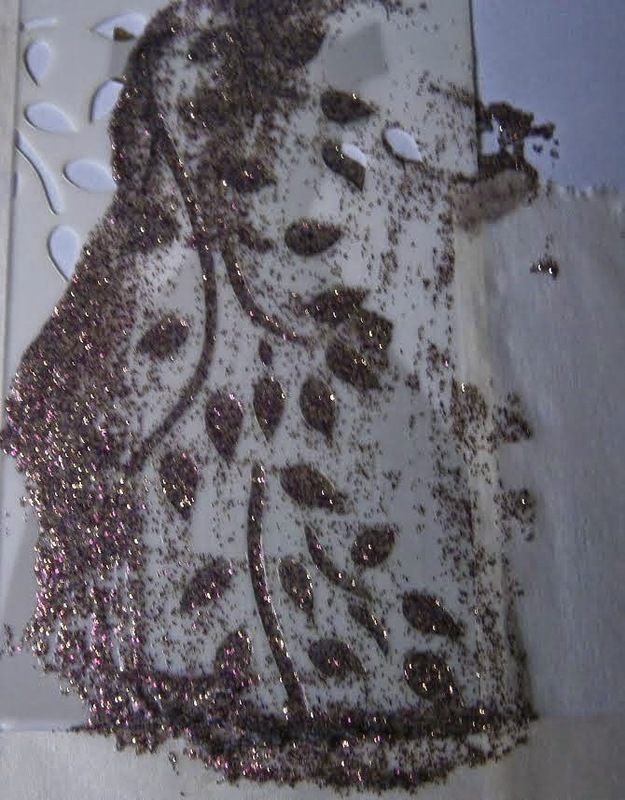 Using part of the foilage from the Garden Seat stencil spread Rose Shimmer Sparkle Medium onto the dress. Put this to one side to dry. 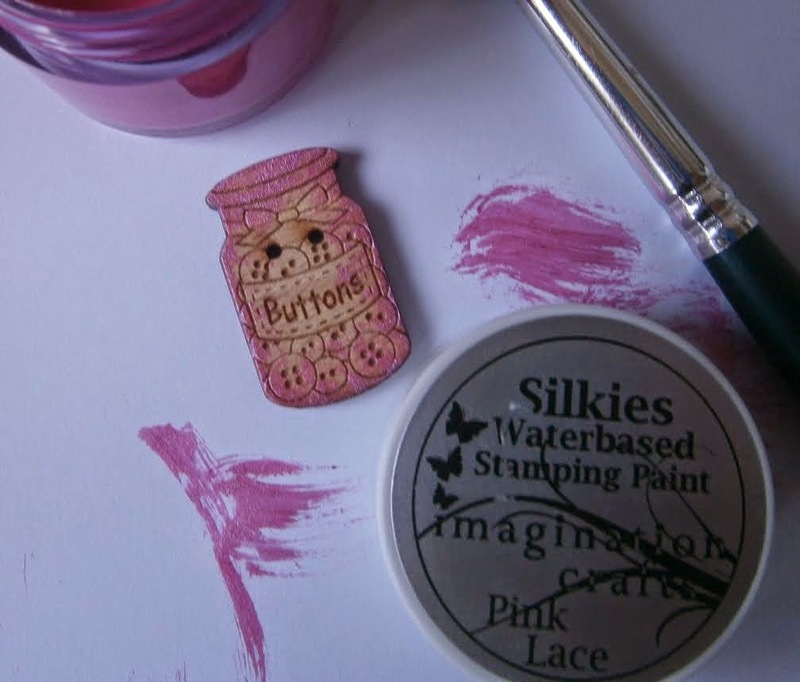 Using Pink Lace Silkies to colour the buttons embellishments. 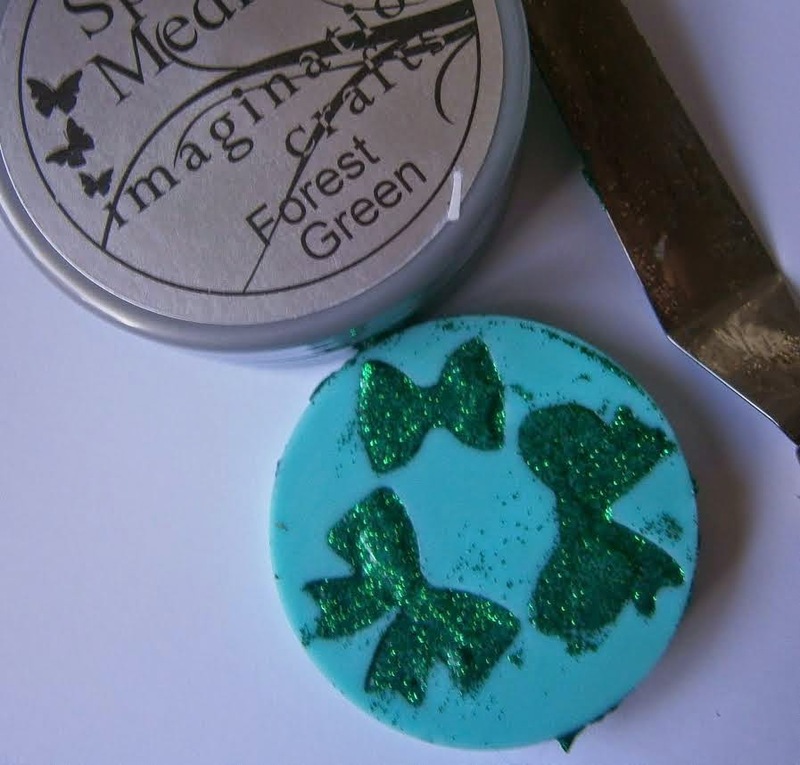 Sparkle Medium is great to use in your moulds, leave for at least 24 hours to set. 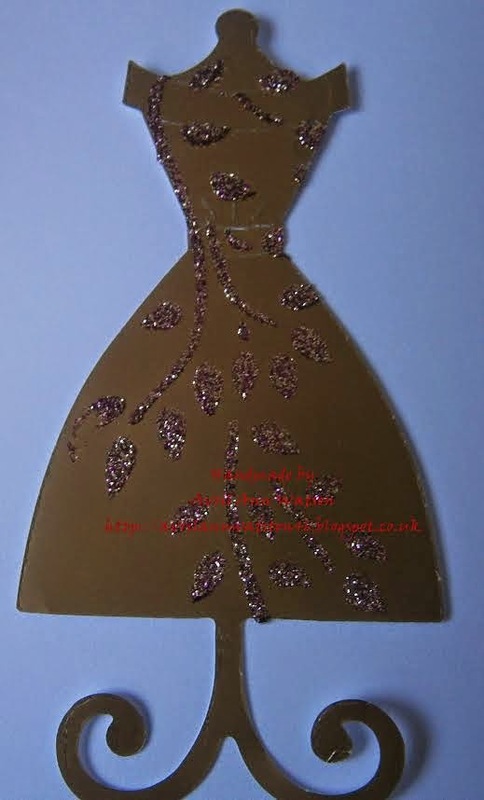 Add the dress, doily, bow from your mould and embellishments to the card which you have stencilled the sewing machine. Just to remind you that Sue and Harvey are at the SECC in Glasgow this weekend. If you are going don't forget to stop by and say hello! We have another tutorial today from Jennifer. Make a base card from white card stock. 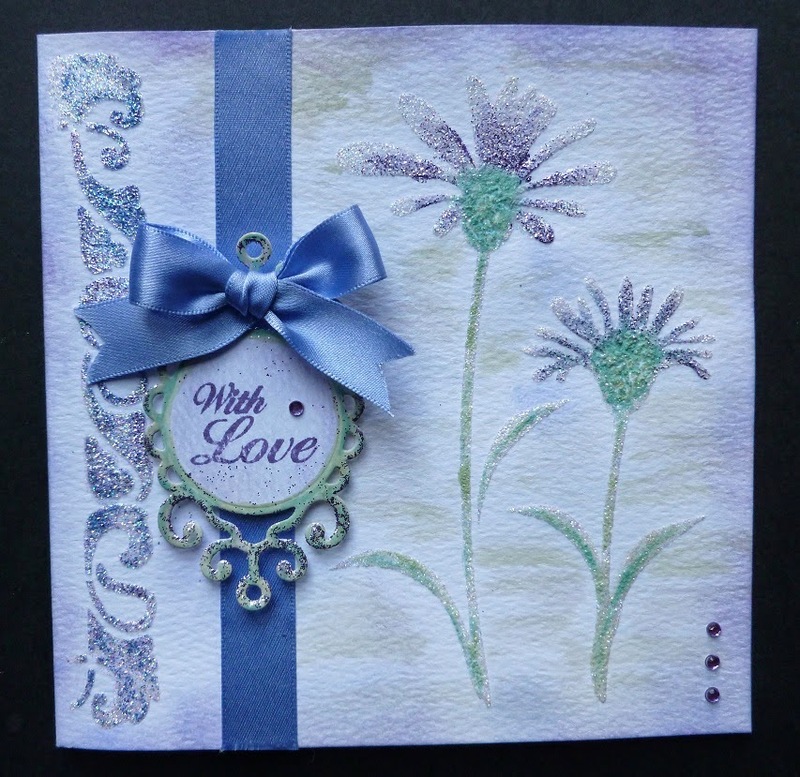 Lay the gerbera stencil on top with the flowers towards the right of the base card. Spread the diamond sparkle medium over the design. 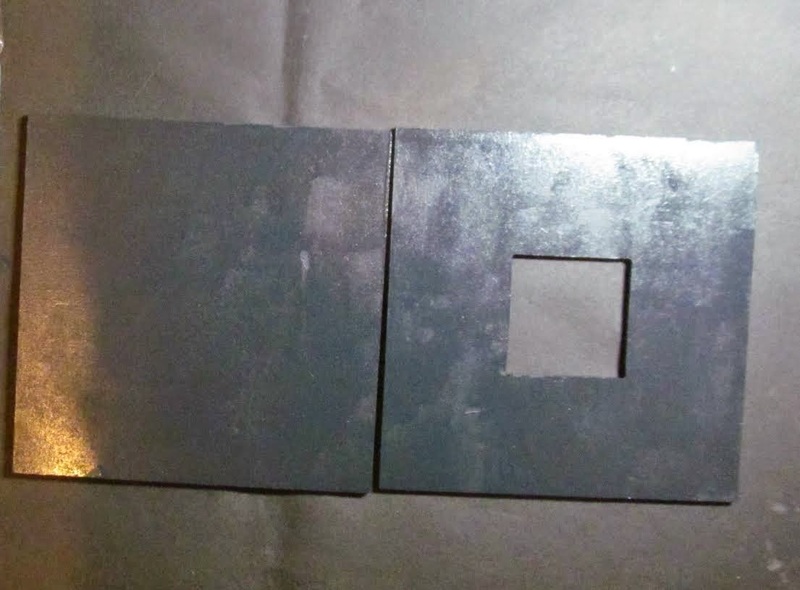 Remove the stencil and leave the image to dry. 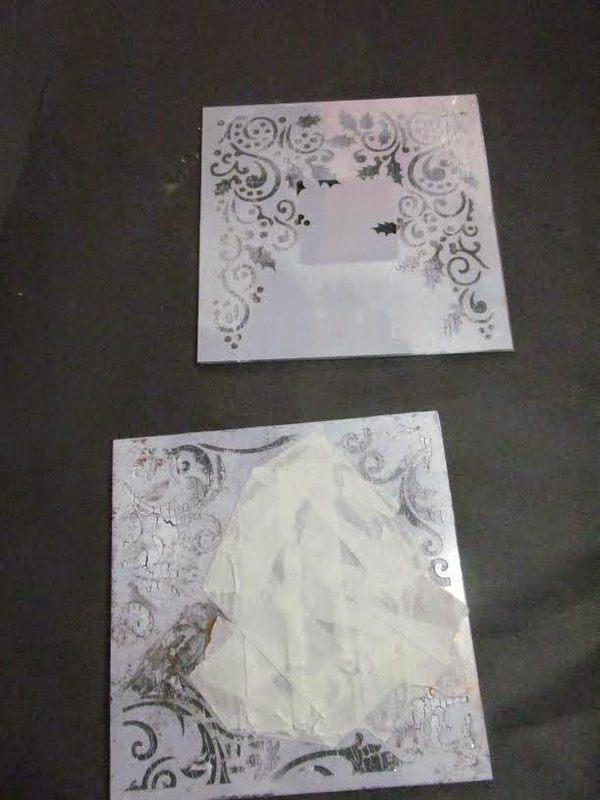 Lay the tile stencil on top of the card and mask off all but the border down the left hand edge. adding a little lavender sparkle medium on top. Fix a piece of ribbon down the card, towards the border strip. 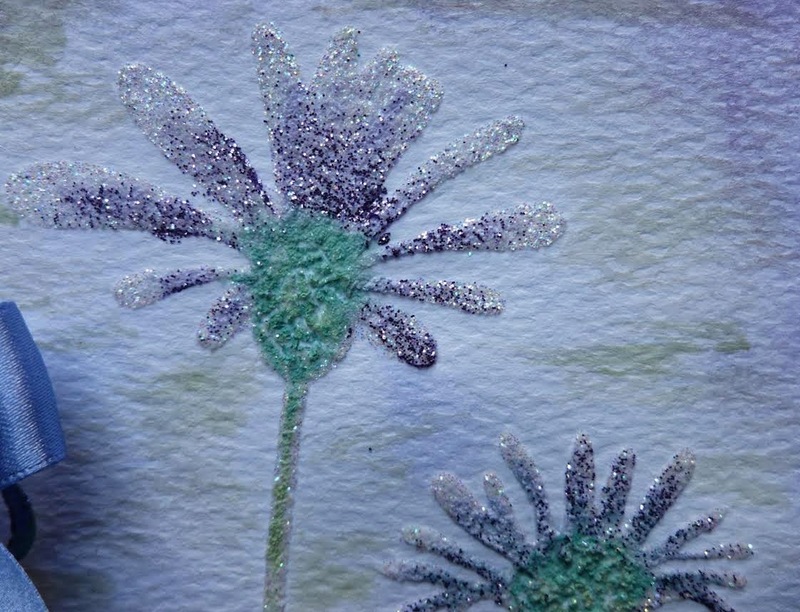 Colour the gerbera with the chalkies and add a little lavender sparkle medium to the petals. 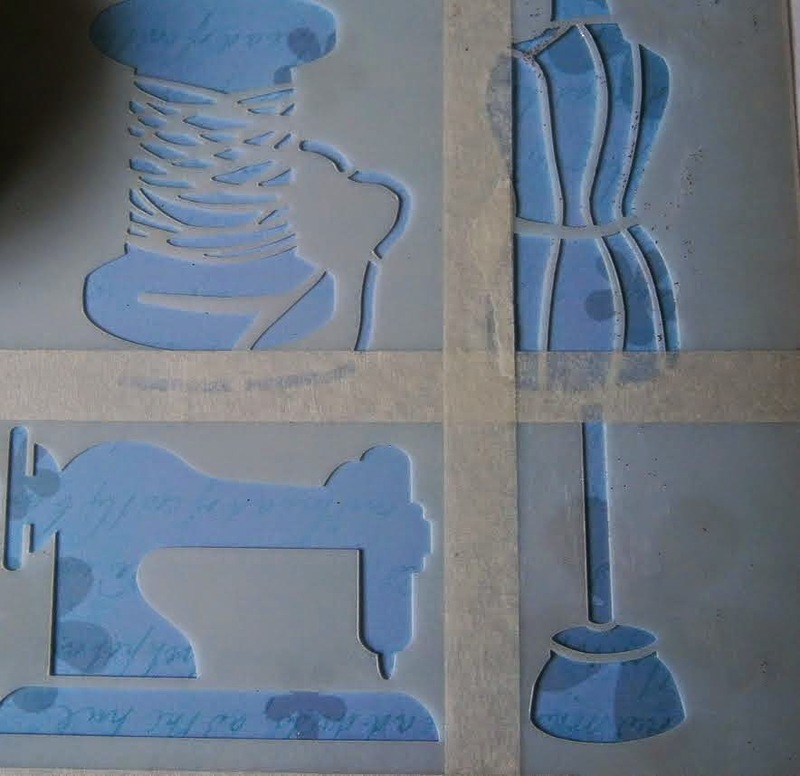 Using the Spellbinder's die, cut out and emboss the label. Stamp 'with love' using the distress ink, onto the centre of the label. Colour with distress ink and the chalkies. 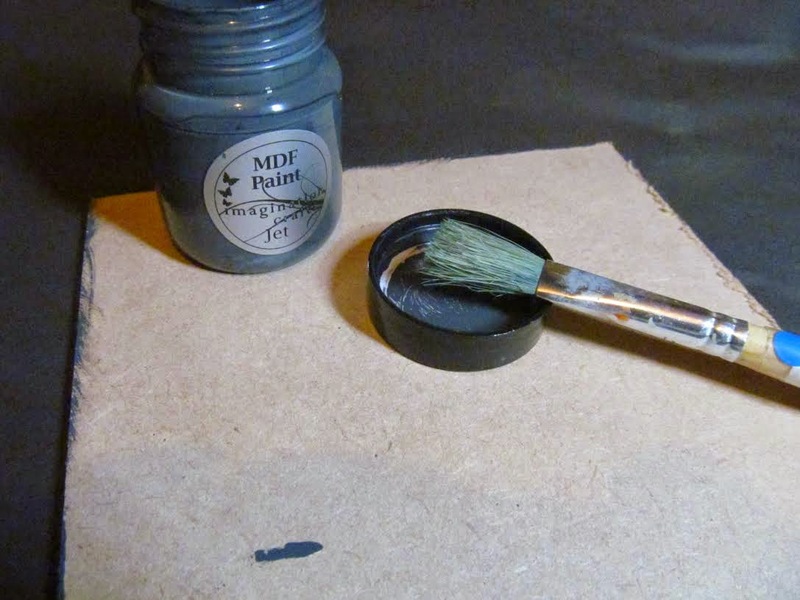 Gently rub a small amount of the lavender sparkle medium over the label and leave to dry. 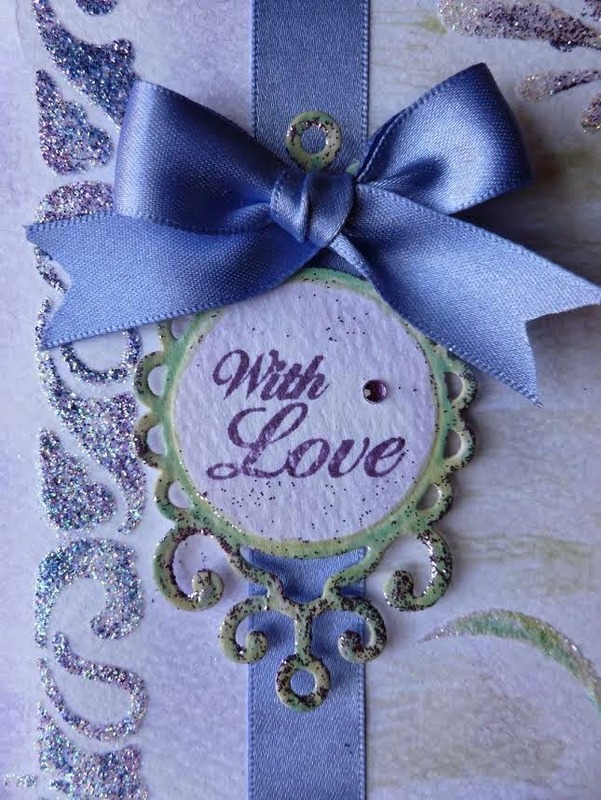 Fix the label to the ribbon with sticky foam pads and add a small gemstone to the bottom right of the card. Next add a ribbon bow to the top of the label. 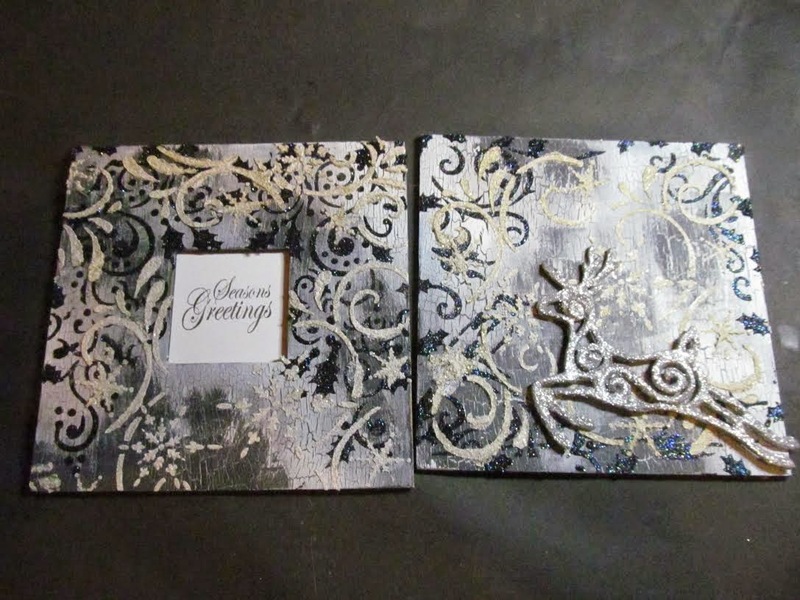 Paint the chalkies over the white card and blend some distress ink around the card edges. We have another tutorial to share with you today from Lindsay. 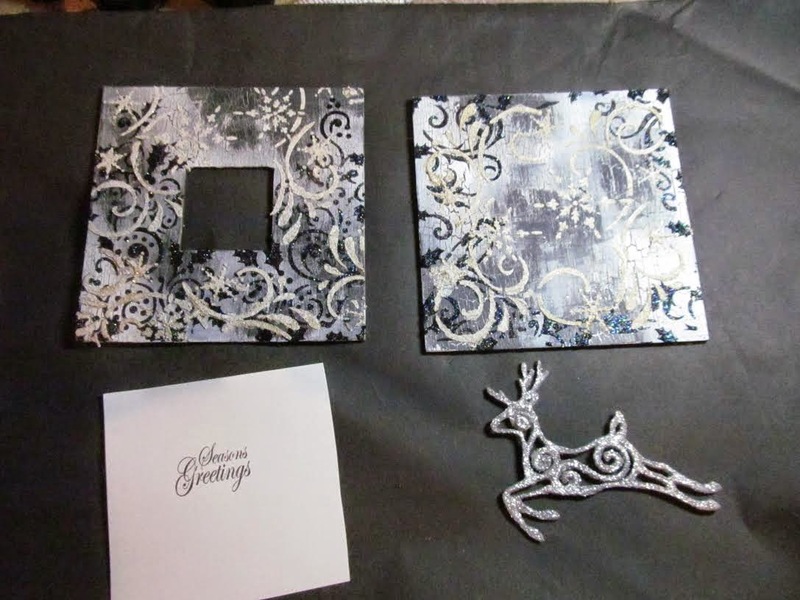 Using the two MDF Frames from the Frame & Charm sets,paint with Jet MDF Paint. 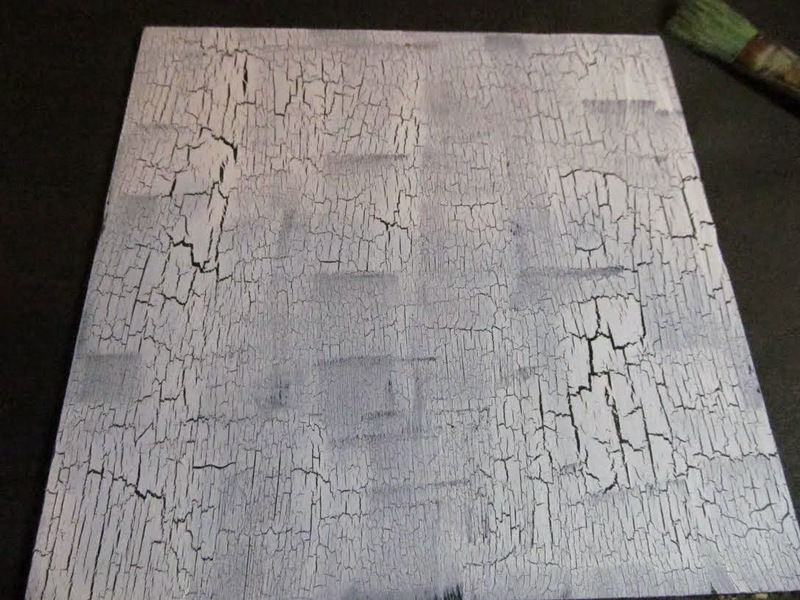 When they are dry coat them with Crackle Medium. 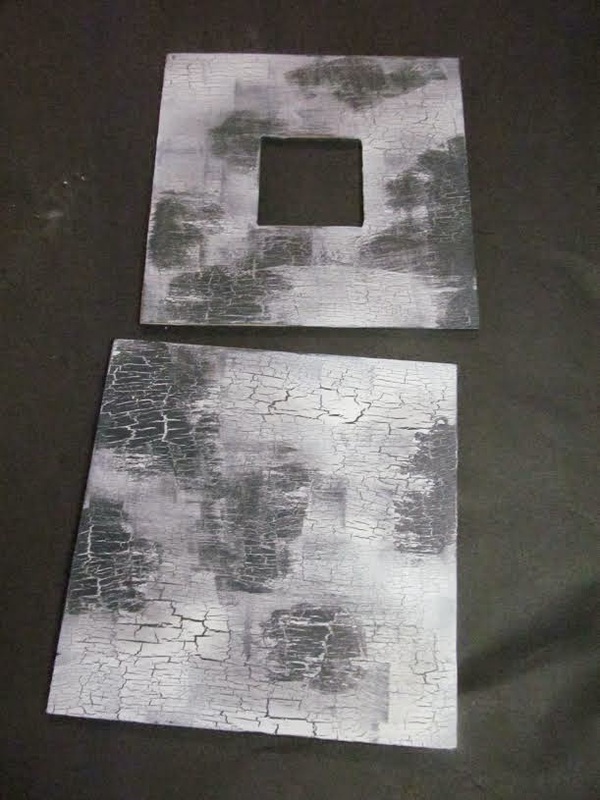 Once that the crackle has dried paint them with Chalk MDF paint. 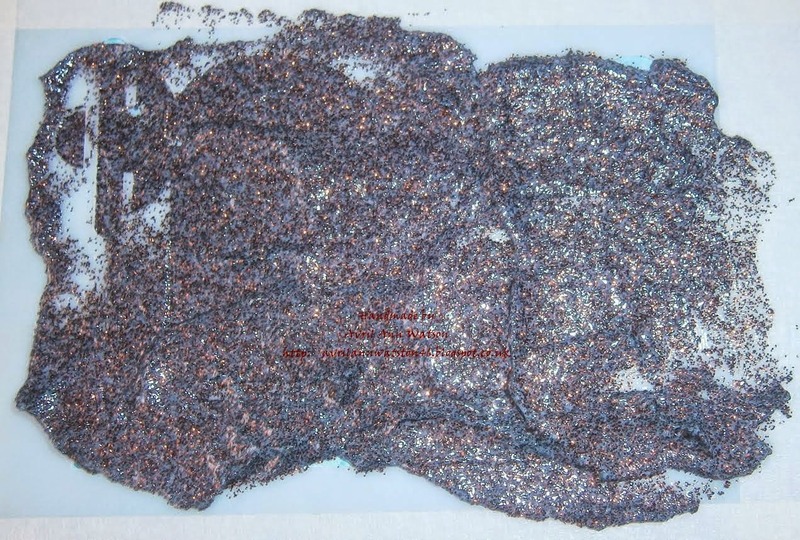 Leave the to dry overnight to make sure everything has dried. 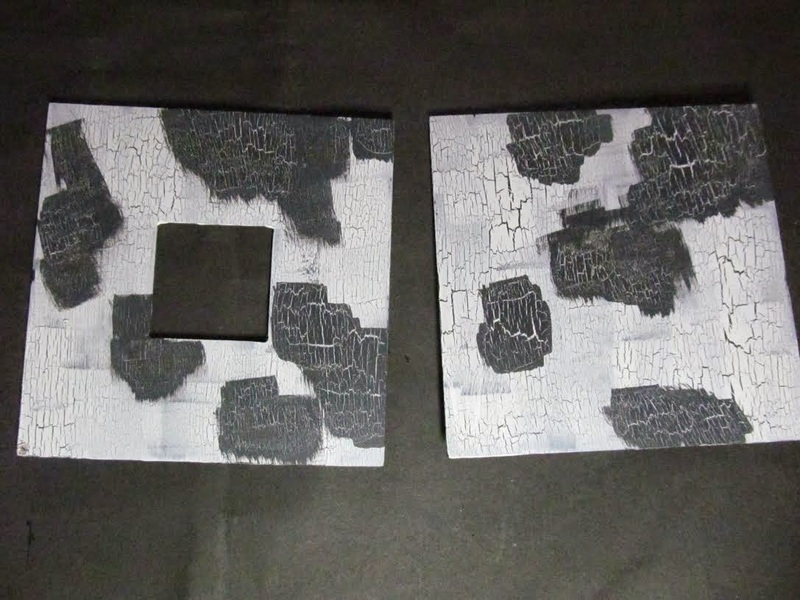 Paint patches of Crackle Medium randomly over the top and after allowing it to dry paint another layer of Jet MDF paint. Next rub away at the edges of the patches with wire wool so that there was less of an edge between the layers. 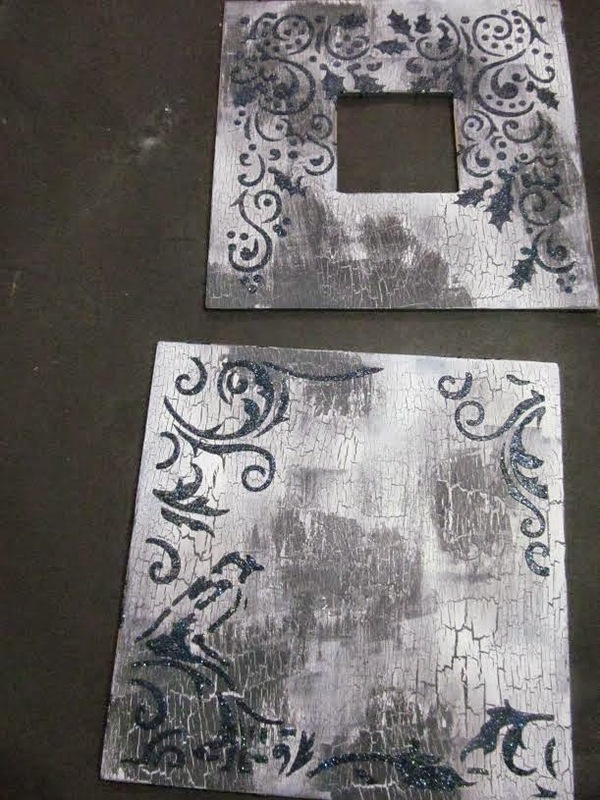 Next mix Chalk MDF Paint with Gold Sparkle Glitter Medium to make a textured snow effect. 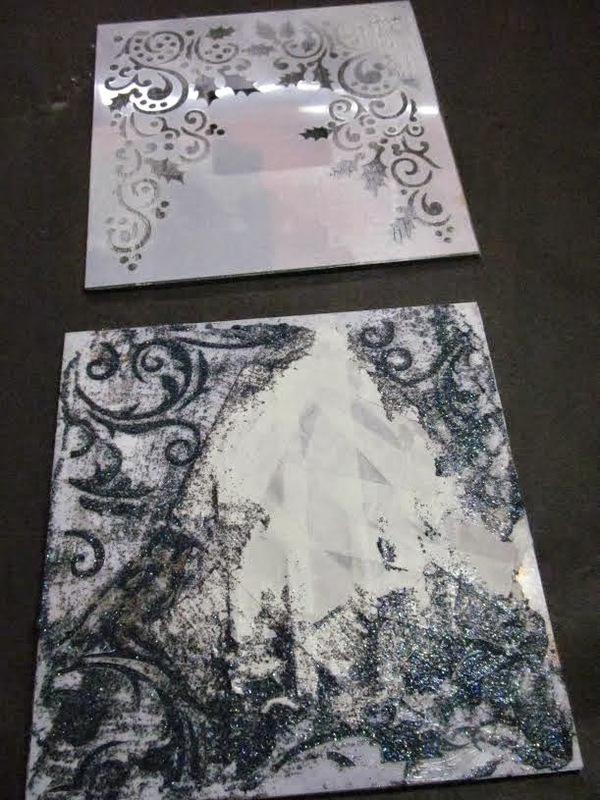 Stencil the snowflake flurry stencil with the textured sparkle medium on both panels. 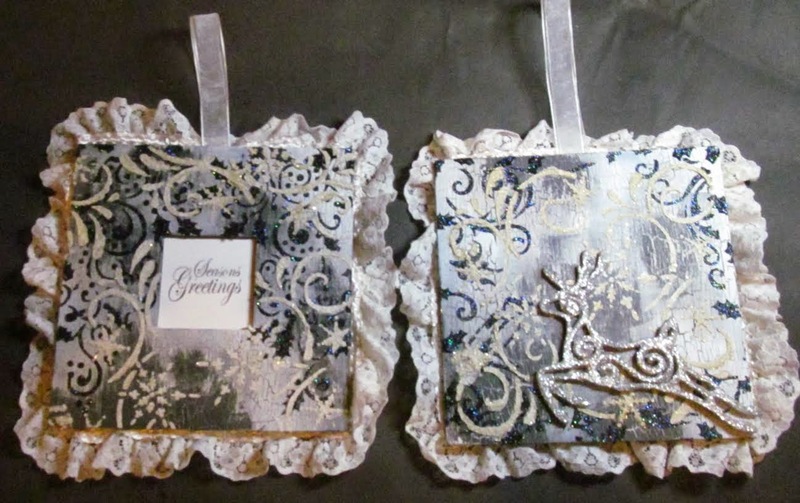 Stamp a sentiment on to some white card and using an old Christmas decoration (reindeer) attach to the panels. 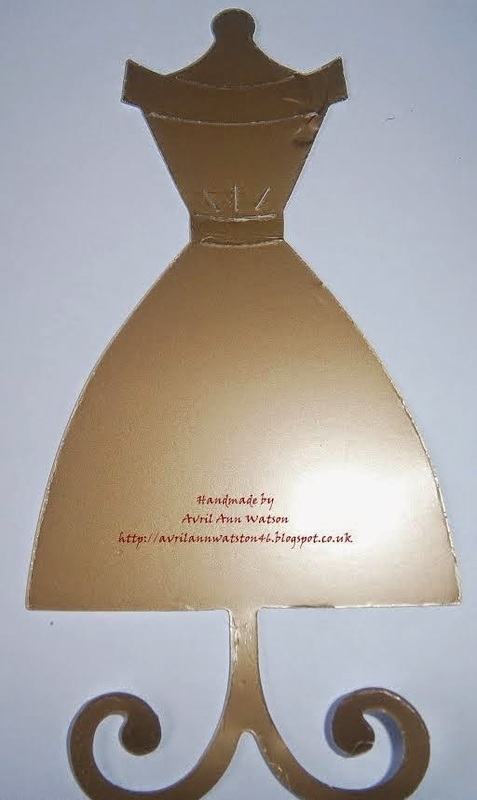 Cut out strips of ribbon and make a look, affix them to the back securing them with card. The final touch is adding lace around the edges.